The new building of BaseClear | BaseClear B.V.
BaseClear moved into its own new building on the 18th of May 2018. An important milestone in the 25th anniversary of the company that is specialized in genome analyses. The design of the Nucleus building clearly illustrates the open and collaborative atmosphere within the company and its willingness to contribute to a more sustainable society. 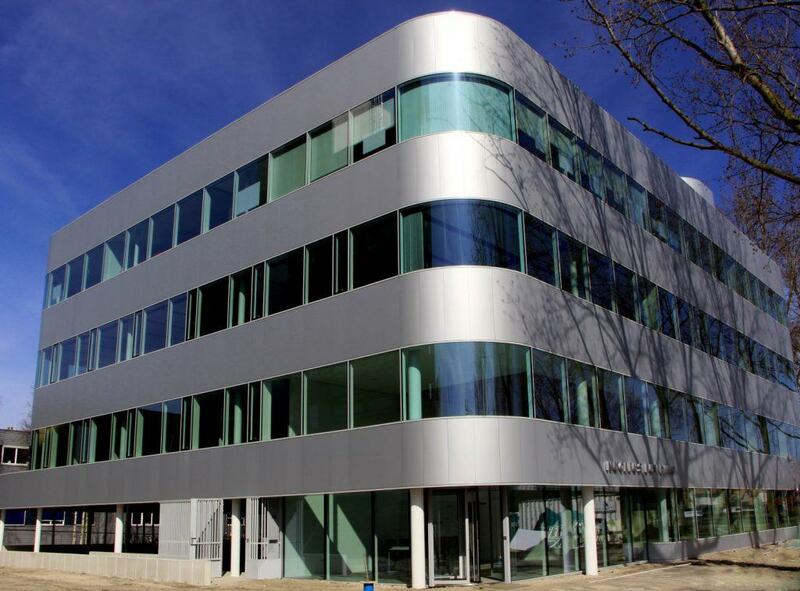 Since 18 May 2018, BaseClear has its own building named Nucleus within the Leiden Bioscience Park, located at the crossing of the Galileiweg and the Sylviusweg, next to the Sylvius Laboratory of the Leiden University. With a surface area of 2,800 square meters, BaseClear’s new building is twice as large as the one in which the company resided previously. This increase was necessary because of the strong growth of the company, since the number of employees has doubled over the past five years. The building has been designed by Popma & ter Steege. With their design, the architects have strived to create an open and collaborative environment to promote knowledge transfer. There are several open meeting spaces where employees from different business units and disciplines can meet and connect with each other. The building also contains a special lecture room for both internal and external meetings and lectures. For this, the company is busy setting up a special BaseClear Academy. BaseClear’s laboratory is expanded within the new building, so that it meets the even stricter requirements for DNA laboratories with various separate laboratory areas for different type of processes. The move allowed the company also to make further gains in efficiency by restructuring the lab equipment according to the workflow. Although the laboratory now is structured optimally for the current processes, it is built in such a way, that it still has a certain flexibility, allowing the company to restructure the lab relatively easily in reaction to future developments. The new building of BaseClear is the first building on the Leiden BioScience Park with a BREAAM sustainability label ‘Excellent’. Several measures have been taken to achieve such a high level of sustainability. Examples are the compact building volume, the efficient and high-frequency lighting and the water-saving sanitary appliances. On the roof of the building 290 square meters of solar panels have been installed for generating energy. In addition, the building is connected to the thermal storage system (WKO) of the Biopartner foundation, which has an overcapacity for this. 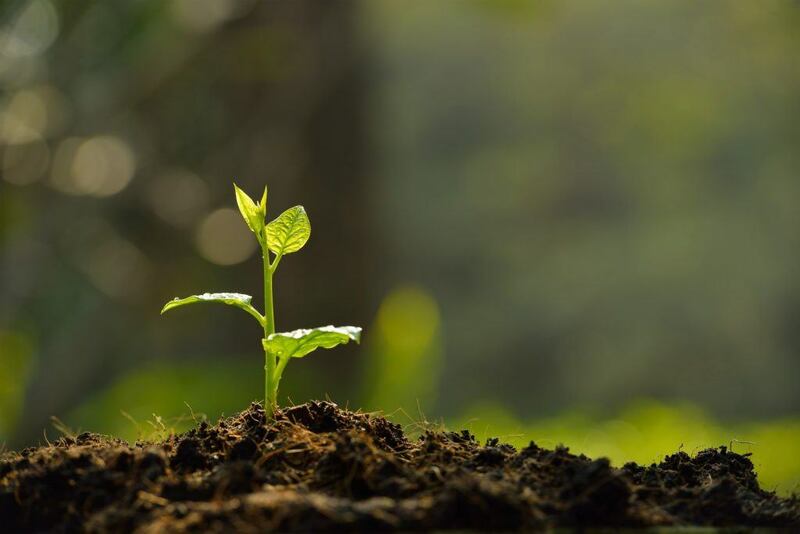 BaseClear considers sustainability to be of paramount importance. The company stimulates its employees to use public transport for commuting and to work in their office in a more sustainable way. The company also aims to contribute more to sustainable research projects. The new building is called Nucleus, which refers to the fact that BaseClear as a core laboratory is surrounded by several spin-offs that are housed in the same building and use the lab facilities of BaseClear. At this moment these are the sister company ProBase Pharma, the spin-off MyMicroZoo and the startup Future Genomics Technologies. In the future this list might be extended with new initiatives. ProBase Pharma offers a complete portfolio of molecular-based rapid testing services which are validated and GMP certified. MyMicroZoo allows consumers to analyze their microbiome from home. 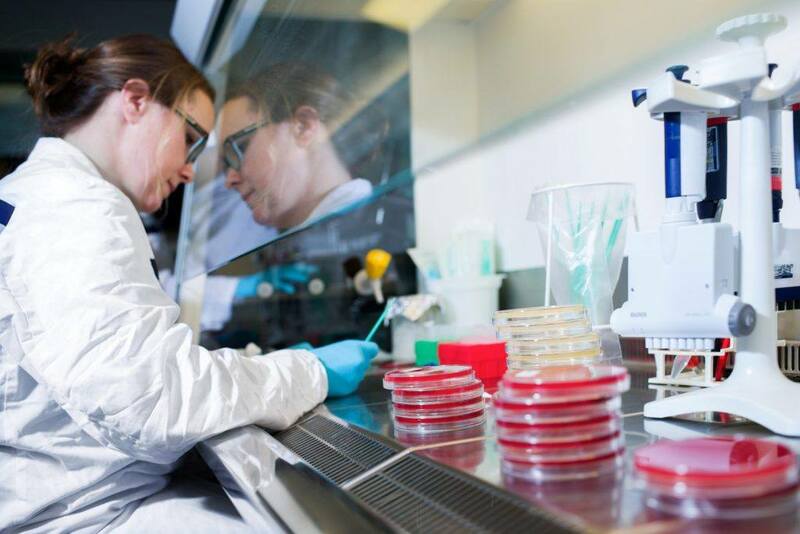 The company measures the number of bacteria present in their gut and gives information about the diversity of their intestinal flora, including a dietary advice to improve them. Future Genomics Technologies is a collaboration between BaseClear and Leiden University, and aims to convert academic knowledge even more quickly into commercial applications. At this moment FG Technologies focuses on the use of the latest generation of equipment from Oxford Nanopore Technologies. At the end of 2017, BaseClear and Future Genomics Technologies have become the very first approved service provider of this ground breaking technology.